“Scientists tirelessly explore, discover, invent, and teach. Yet often the fruits of their labor can be hidden within technical jargon, or lost altogether in a pile of manuscripts in perpetual preparation. 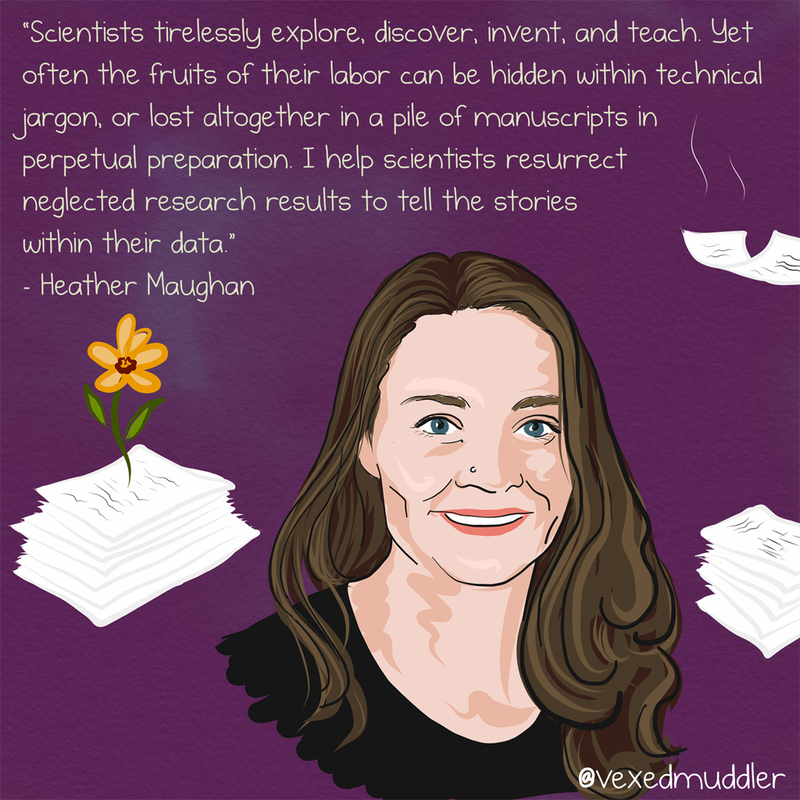 I help scientists resurrect neglected research results to tell the stories within their data.” – Heather Maughan, freelance science writer. Originally posted on September 16, 2016.